Here we gonna present a solution for this common problem with Skype that came with the new version 7.5. The actual problem occur on a Windows 7 64-bit operating system when the Skype auto update to the newest version 7.5. 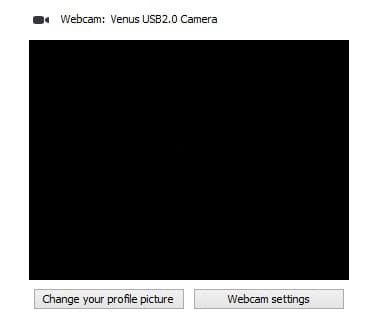 The problem consists of the following: when you make a video call, instead the image of your webcam, you see only a black square. The same is also if you go in Video Settings in Options menu. On the other side, if you check the webcam with AVACAM – webcam viewer, you will probably see the image from your webcam, like it should be. If also in this case you cannot see the image from the webcam, then the problem is at your webcam. In the other way when the image is seen with AVACAM, and not with Skype, we need go through this steps. Is your Windows up to date? – The update of the Skype was referred on a video call quality, so the developers implement a newer version of Direct X for this version of Skype. That’s why we need to install the latest updates on Windows. Update dot.net Framework – dot.net Framework was already discussed in a previous post. Reinstall Skype – if the update didn’t help, we need to reinstall Skype. But, when we do this, always is better to do it with Uninstaller Software, in our case we use Revo Uninstaller. We use a Free version, but it’ll do the job. Passing these steps solve our problem. We hope that you will solve also.